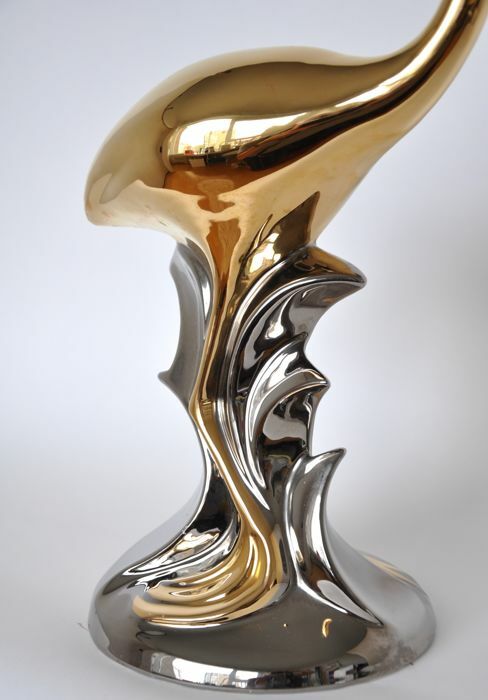 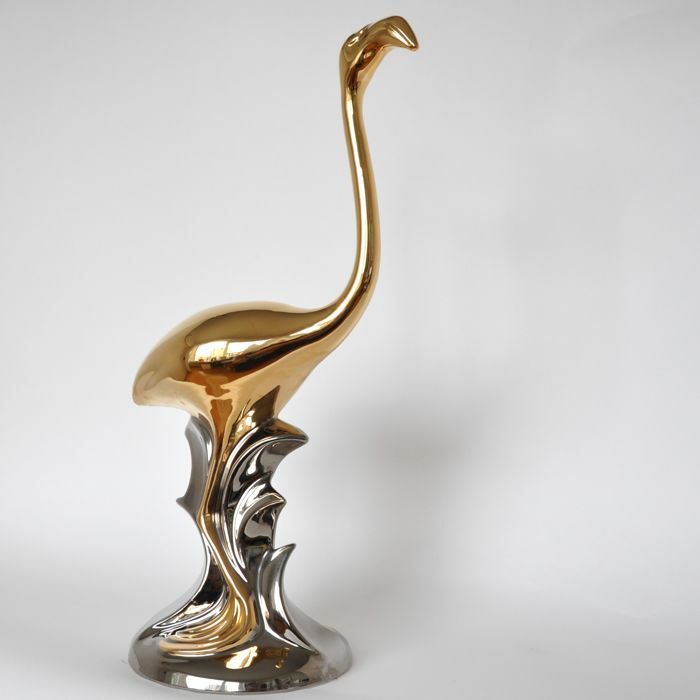 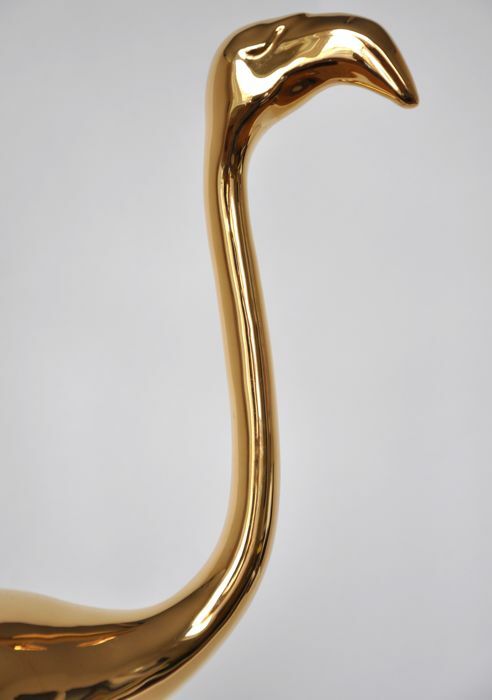 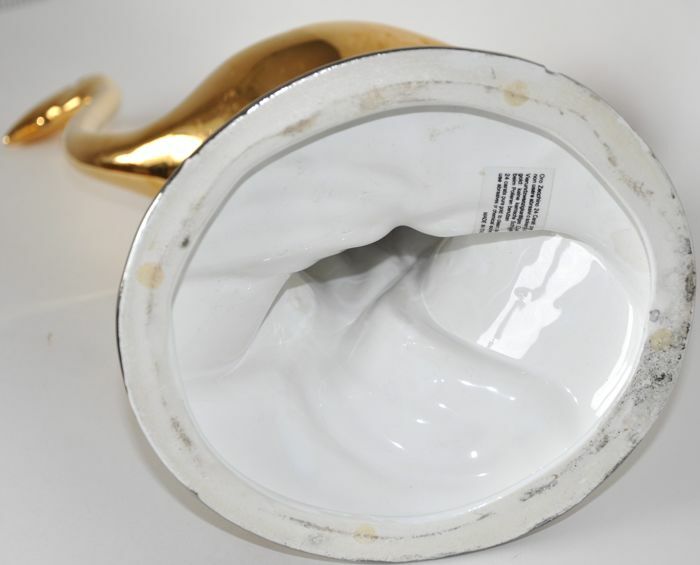 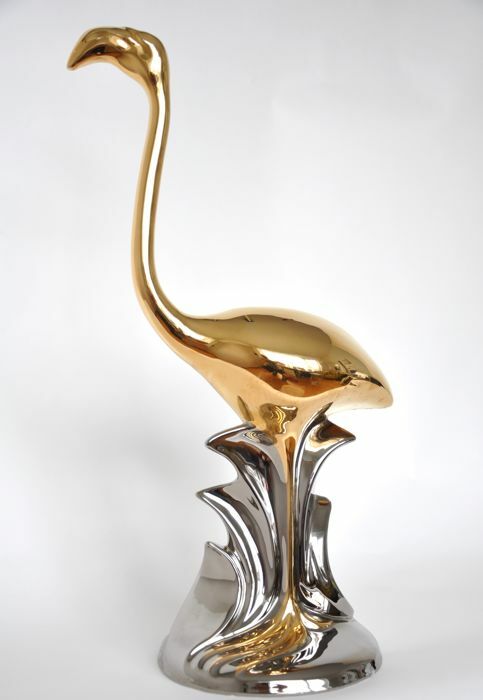 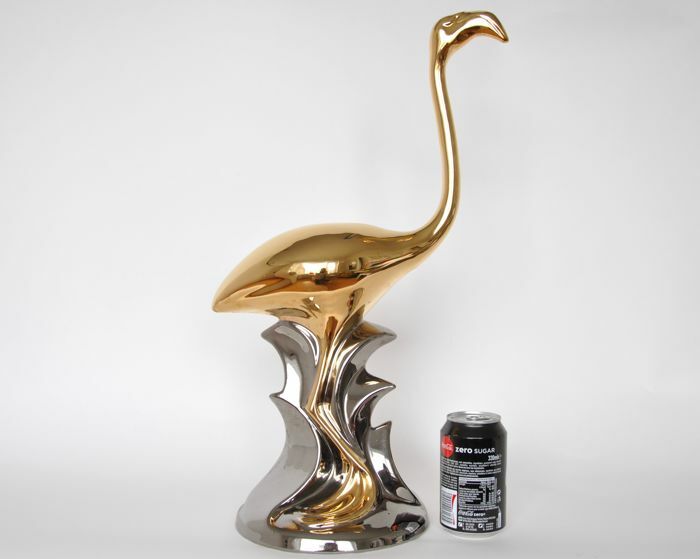 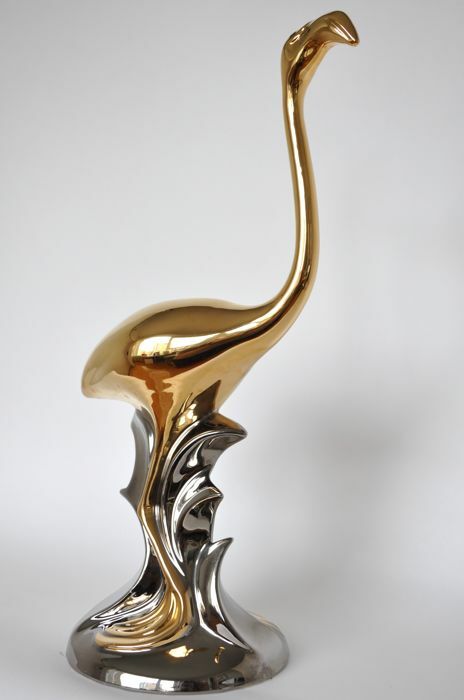 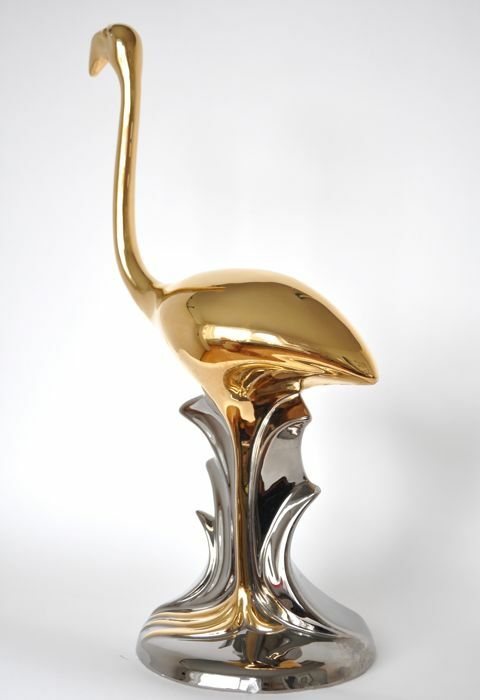 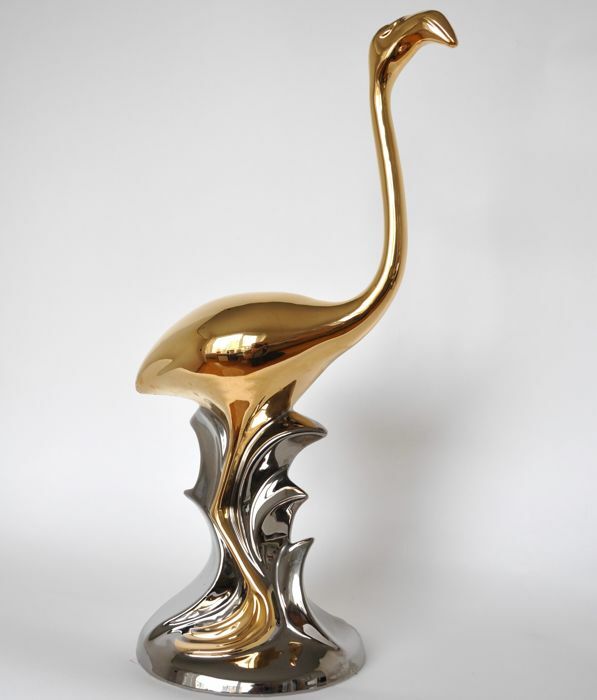 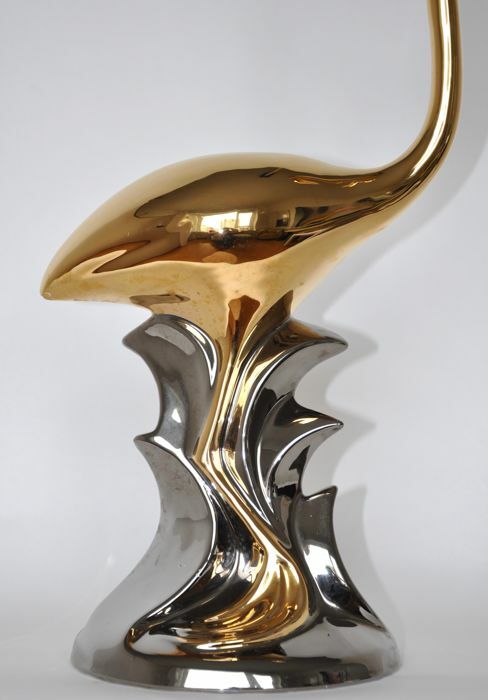 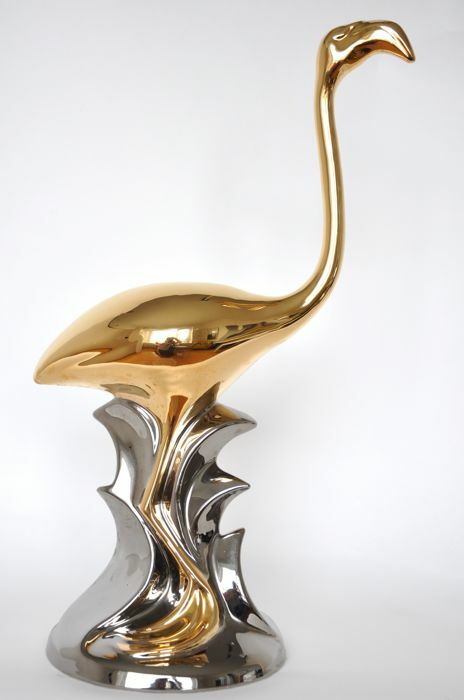 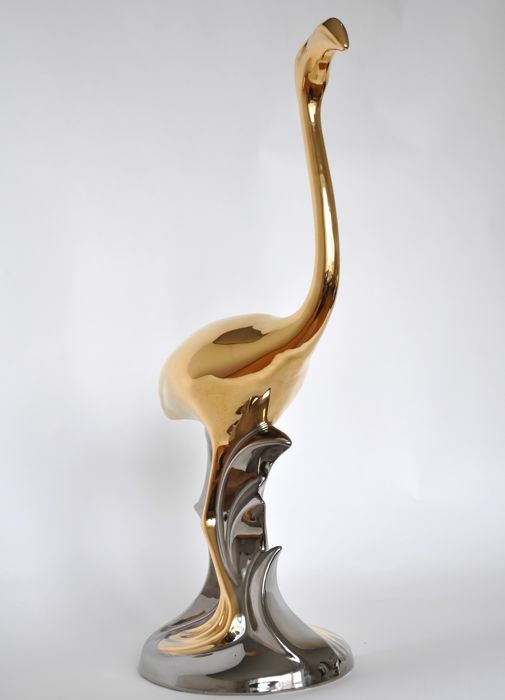 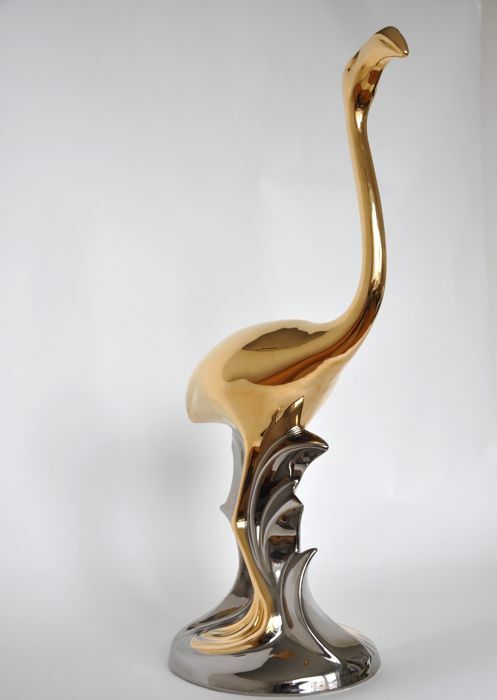 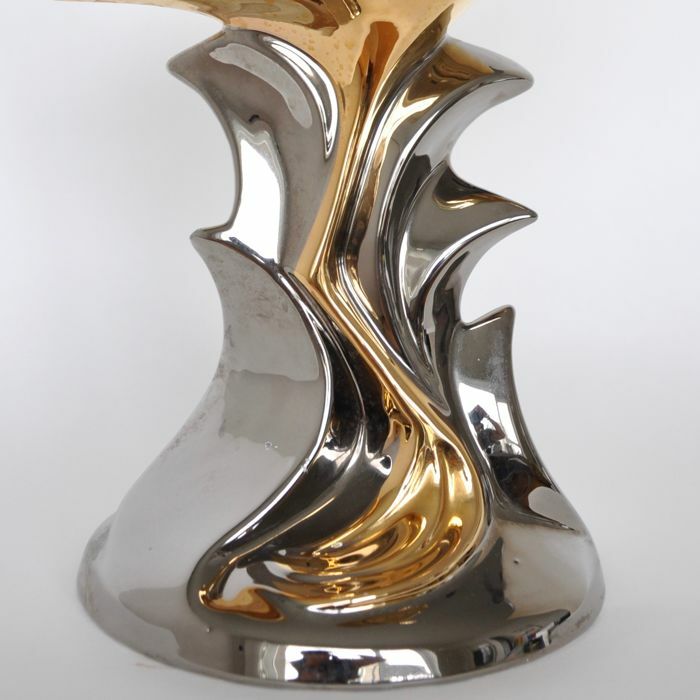 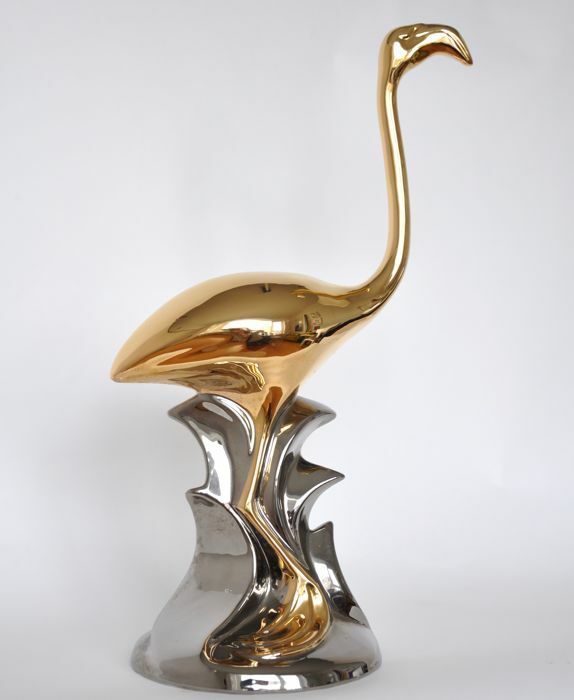 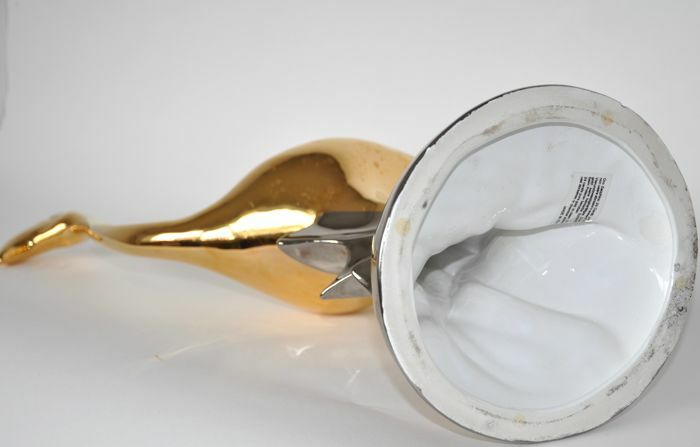 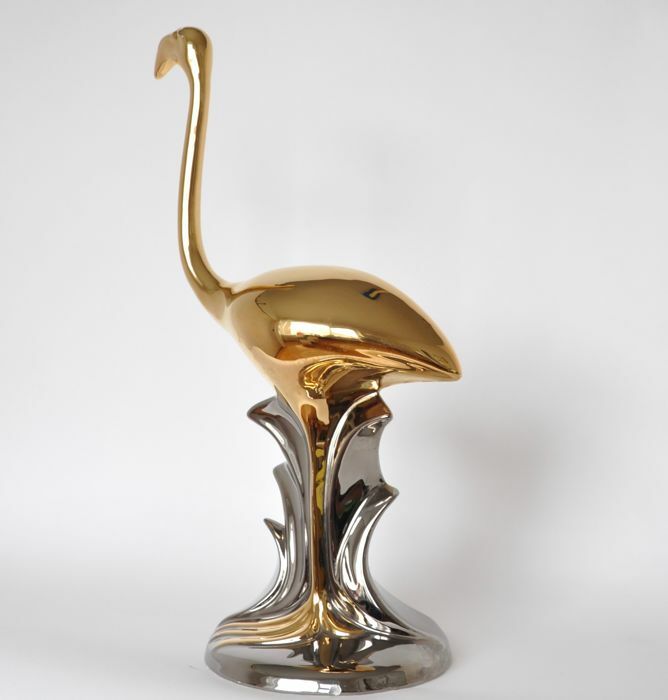 A chic ceramic gilded Flamingo in vintage condition from the Italian manufacturer Ahura Italy of Zanardello srl. 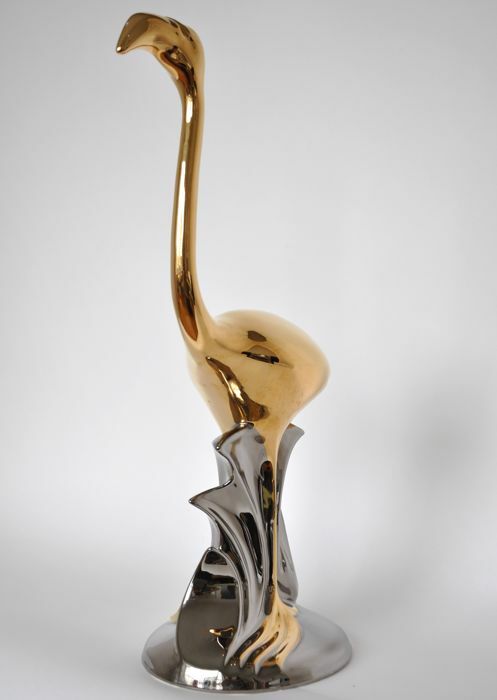 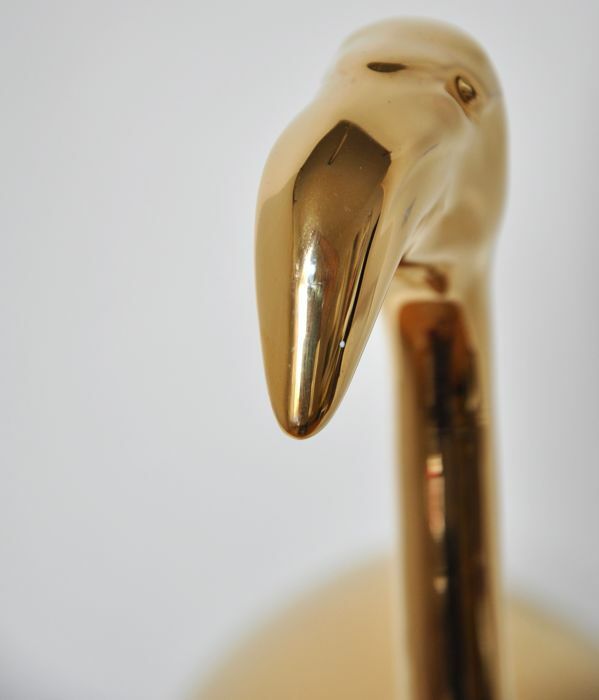 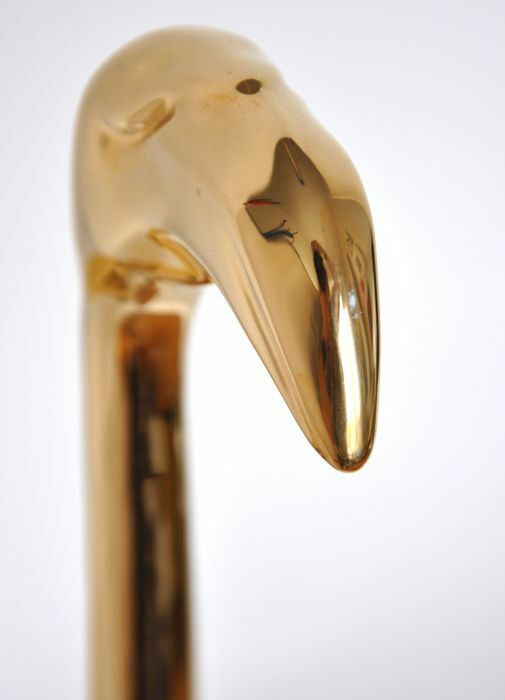 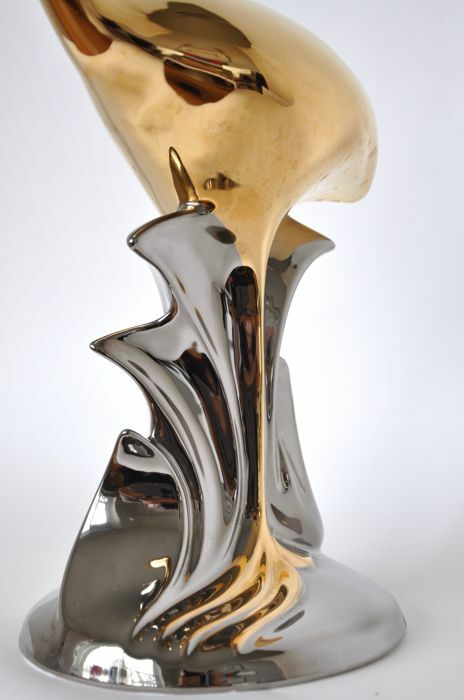 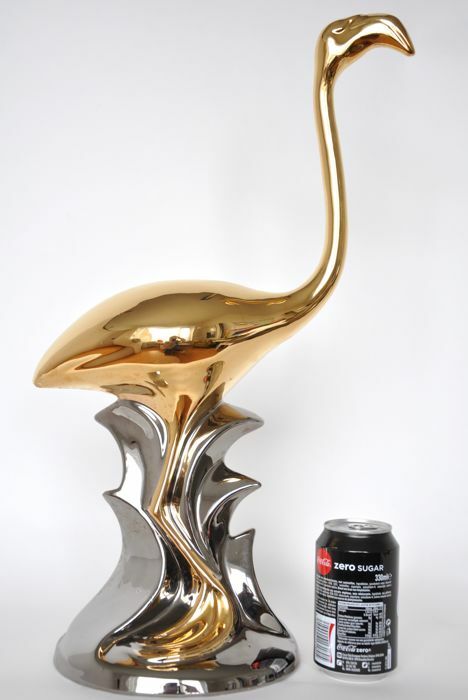 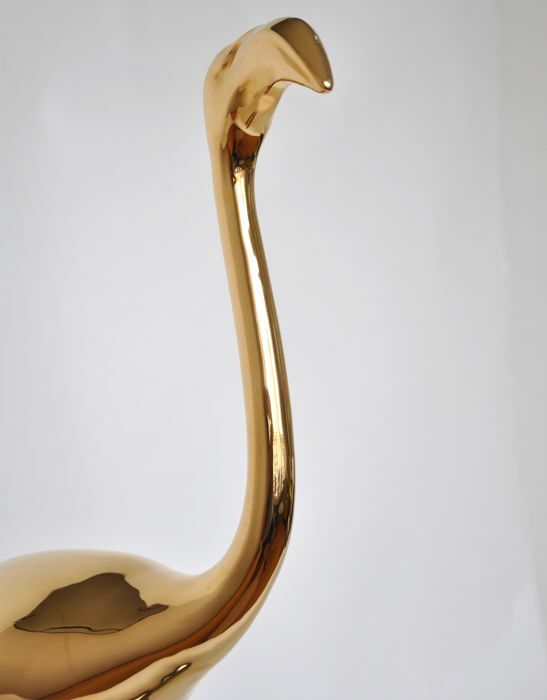 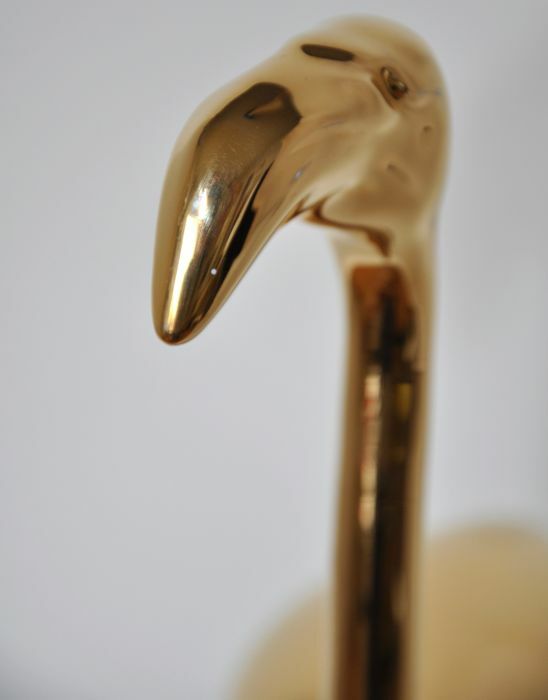 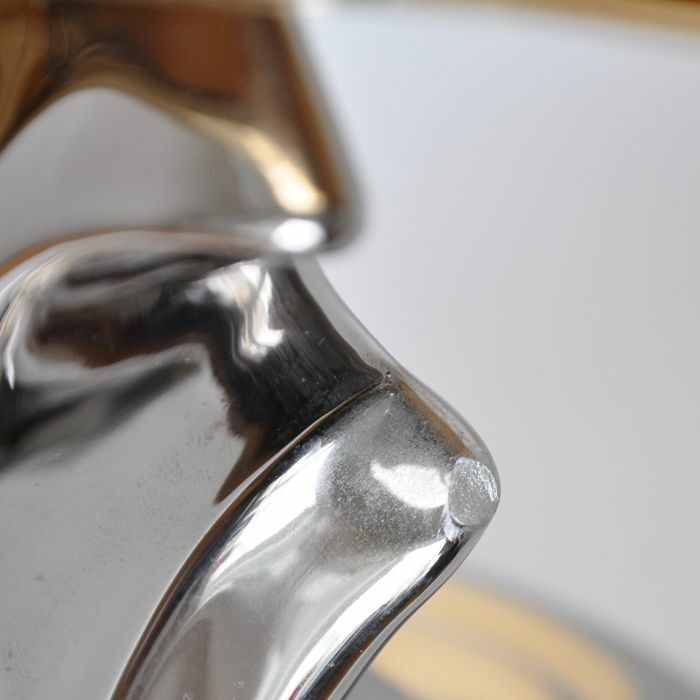 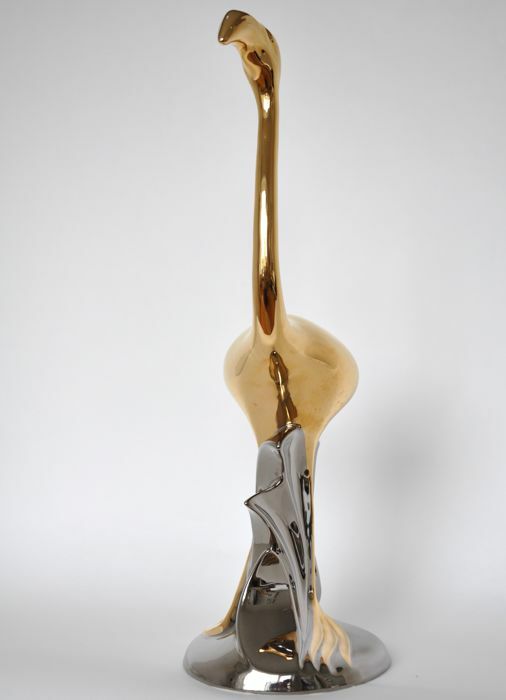 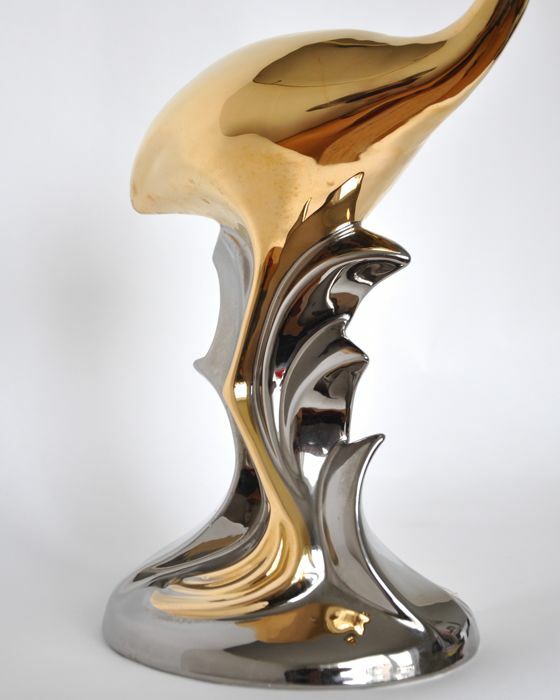 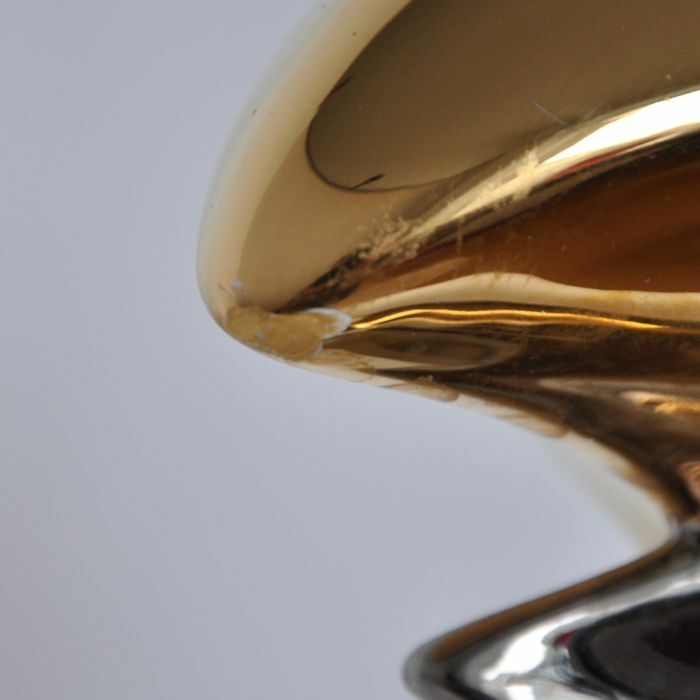 This flamingo is glazed in pure 24 carat gold, see the last photo with the transparent sticker on the bottom. 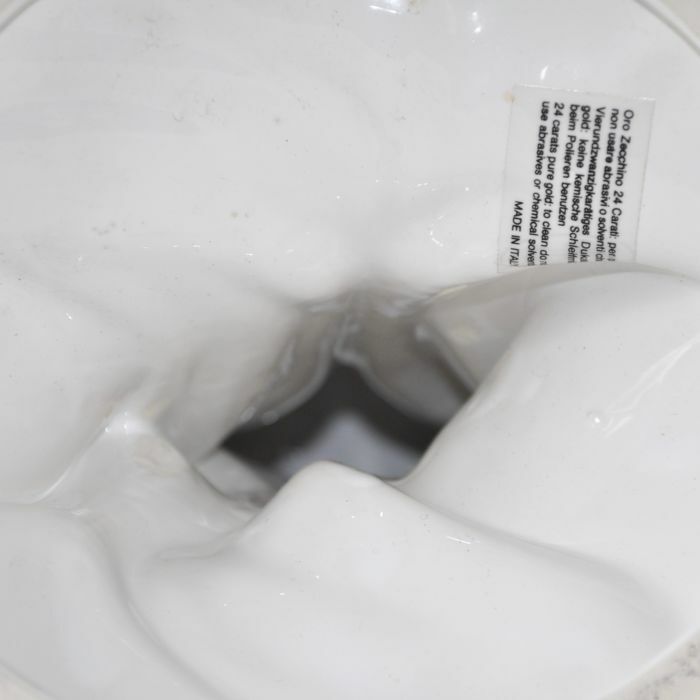 Dimensions: Height 52 cm x Width 30 cm x Foo diameter 18 cm. 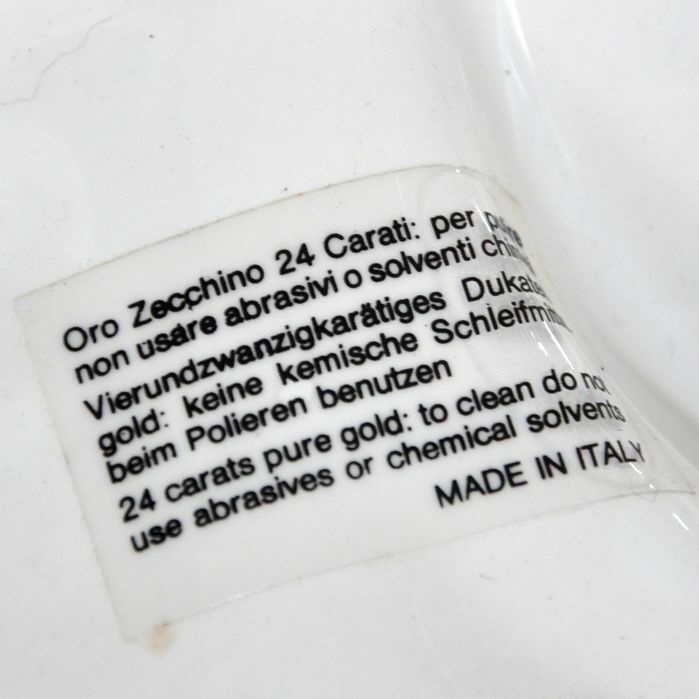 Condition: slight scratches, stains and a number of miniscule fleabites/chips in some places matching age and use, see the last series of photos. 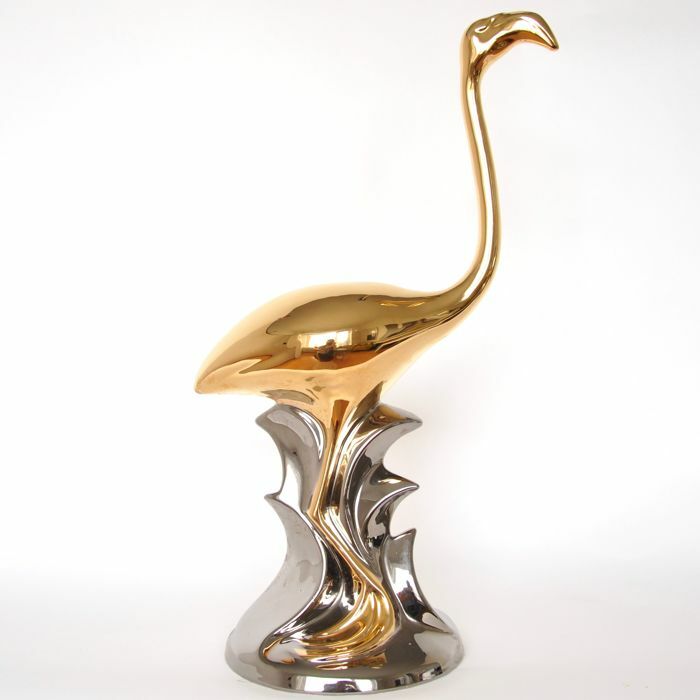 Yet it remains an unique object. 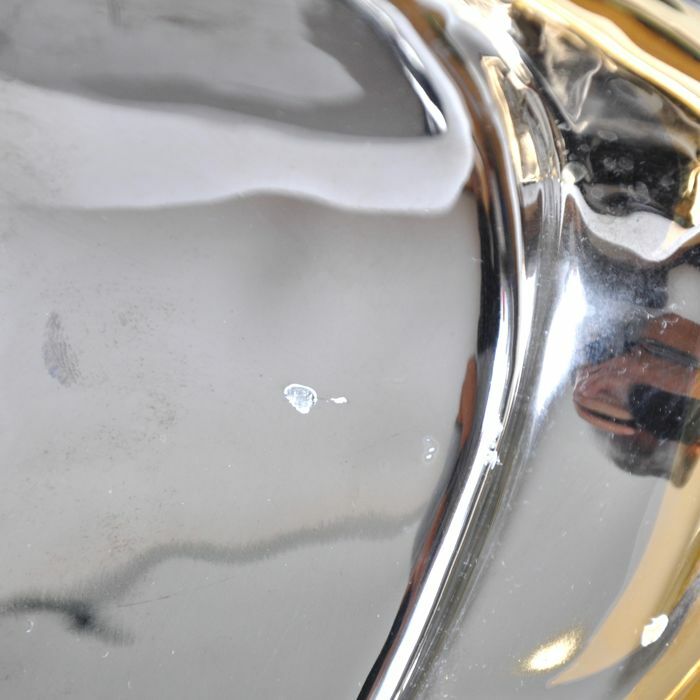 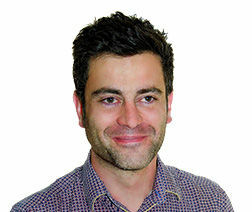 Please study the photos well for a good impression. 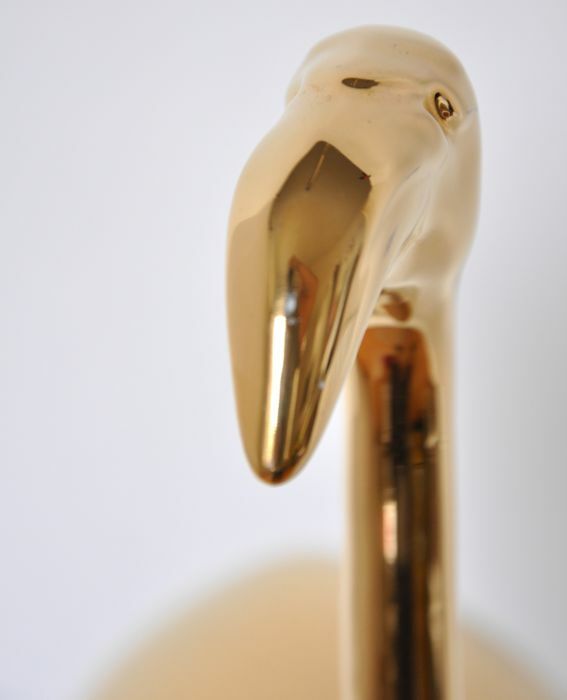 Will be well packaged and sent by registered mail via PostNL parcel service, both in the Netherlands and abroad. 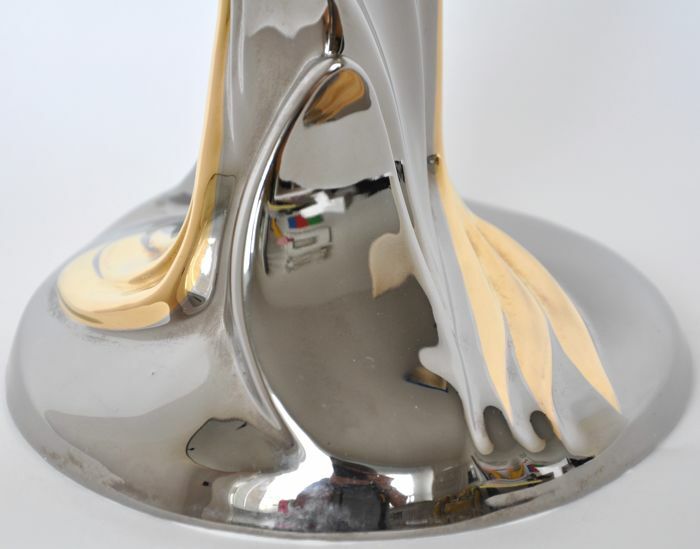 Please visit our Catawiki page catawiki.grooveydesign.nl for more vintage lots.